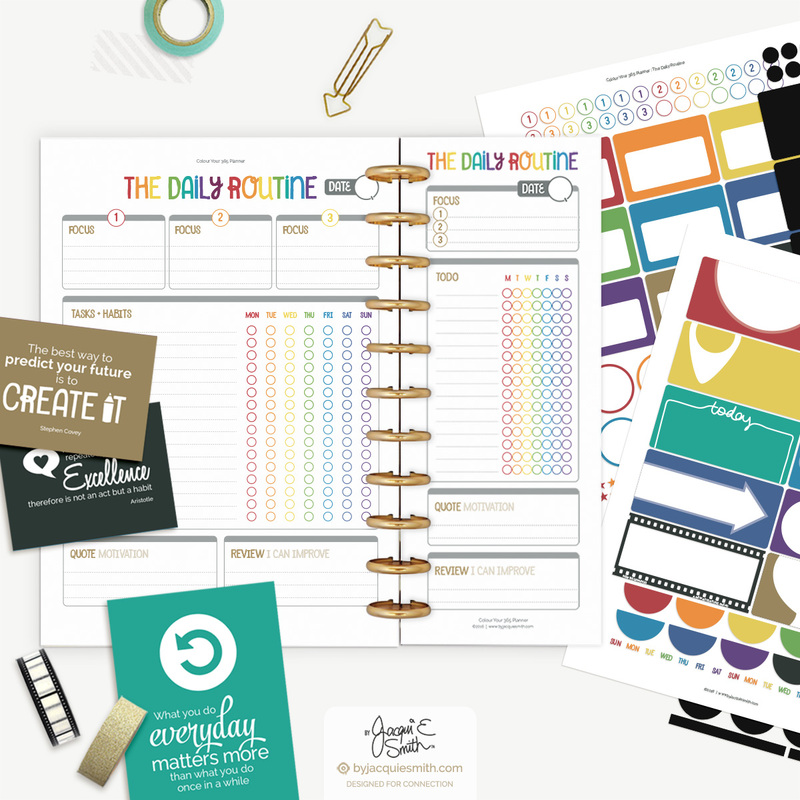 This daily routine printable planner kit includes a planner page, sticker sheets, inspirational cards and a double sided bookmark to fit both A4 + US letter planner binders. Use this simple one page plan to reduce overwhelm + get things done. Simply check off tasks as you go. With the built in accountability you will have healthy habits established in no time. Write down your goals + add your own quotes with the printable stickers. Keep yourself motivated with the inspiration cards in your planner or on your noticeboard. ♥ See your progress + reward your efforts! 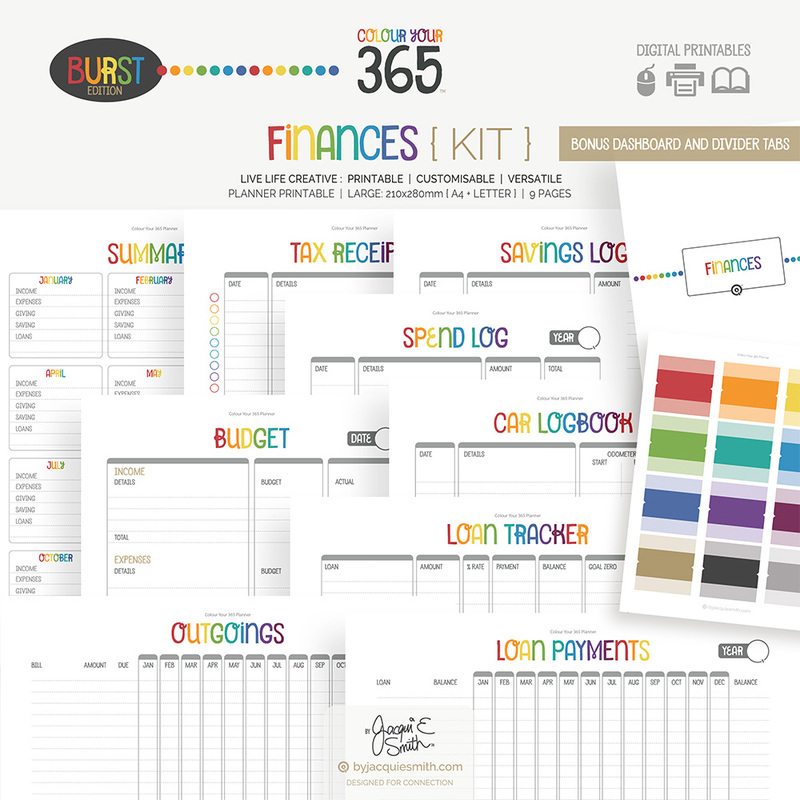 by Jacqui E Smith printables are gorgeous, handcrafted planner products. Designed for you to enjoy getting things done. 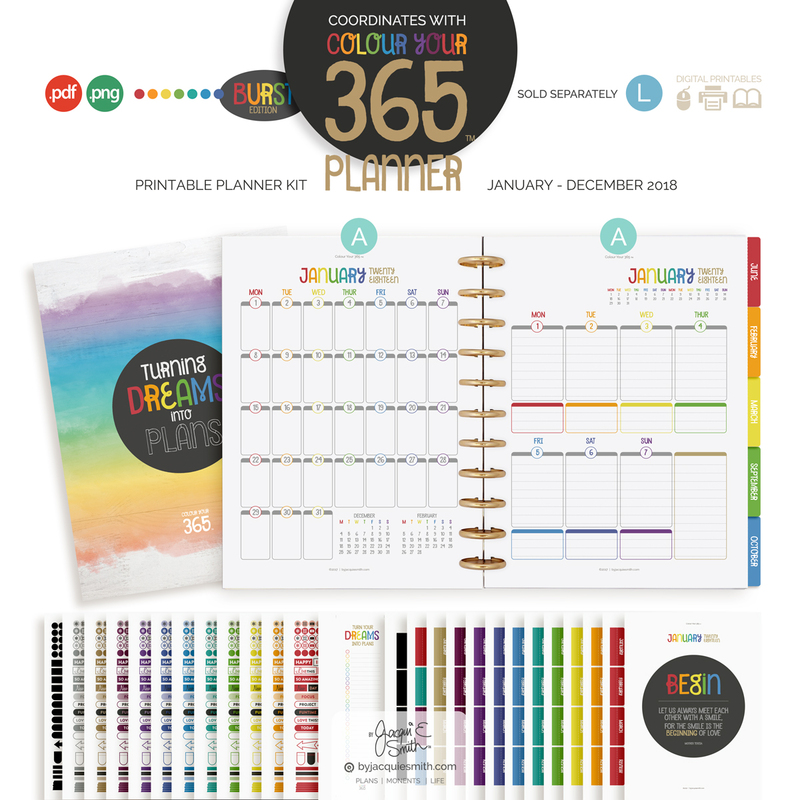 The Colour Your 365 planner printables are high quality printable files. Pages sizes are 210x280mm specifically designed to work with both A4 and US Letter planner binders + folders. Supplied as printable PDF files. Sticker print + cut PNG files are supplied for cutting machines, like the Silhouette and Cricut machines. 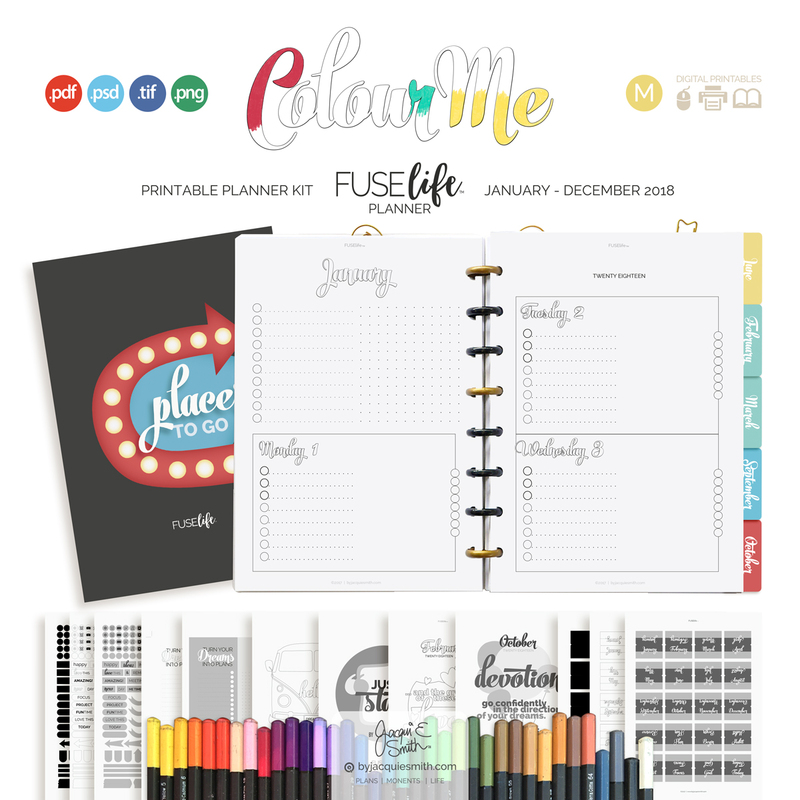 Planner products are for PERSONAL USE only, unless otherwise noted. 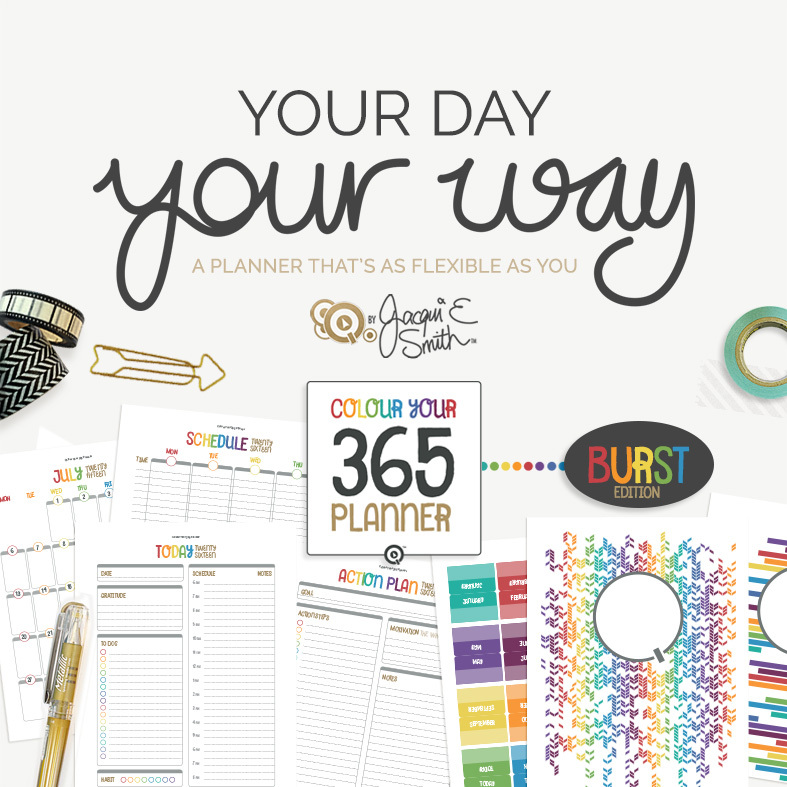 Shop all Colour Your 365 Planner products and design your day your way.